Compared to the 1970s, the U.S. today incarcerates six times as many prisoners. This doesn't mean that crime has increased, but rather that punishment has increased -- this statistic measures prisoners for every 10,000 index crimes (crimes nationally defined by the FBI to measure crime rates) committed in 1975 compared to today. We've talked in the past about how people characterize the modern-day prison system to the slave plantations of the antebellum South, given the disproportionate number of incarcerated African-Americans compared to other racial and ethnic groups. On the other hand, here are two pieces that talk about class and the prison system, a topic that seems to generate a lot of criticism ranging from being disconnected to reality to promoting class warfare. Loic Wacquant's article, "The punitive regulation of poverty in the neoliberal age," published this summer, looks at how and why the prison system has swelled so much in the past 30 years and how we can best understand its consequences. Wacquant makes three compelling points. First, the increase in penalization stems from social insecurity rather than an increase in crime, which strives to keep an insecure and heavily penalized working class. Second, we can't look at penal policy without the context of social policy and the shift from welfare to workfare (which he defines as "forced participation in sub par employment as a condition of support"). And third, this treatment helps reinforce the "reality" rather than the ideology of the neoliberal state, dividing people along class lines and eroding civic trust and democracy. The other piece comes from Paul Wright, editor of Prison Legal News, who writes in the opening to his essay, "The Crime of Being Poor," that in order to understand who goes to prison and why, we must ask what prisons are for. 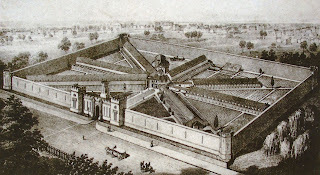 Wright argues that, given the majority of prisoners are below the poverty line, prisons' number one priority is social control of the lower classes who otherwise would challenge the status quo. The question of whether prisons "work" to discourage crime or keep a safe citizenry seems obsolete. As long as they continue to be profit-driven -- in more ways than just "making money" -- things will only worsen. "This is because the imposition of market discipline is not a smooth, self-propelling process, it meets with recalcitrance and triggers resistance; it translates into diffusing social instability and turbulence among the lower class; and it practically undermines the authority of the state." one thing also possibly contributing, if its like in our country (you are imprisoned when you cant afford to pay the fine of the crime) as the cause of the increased rates, again, a growing imbalance of high fines vs low income. Great point, Zonkiye, about the creation of a situation that encourages crime and then having the institutional apparatus in place to punish it. And also, how true that the ability or inability to pay a fine feeds the situation only more. Thanks for reading!